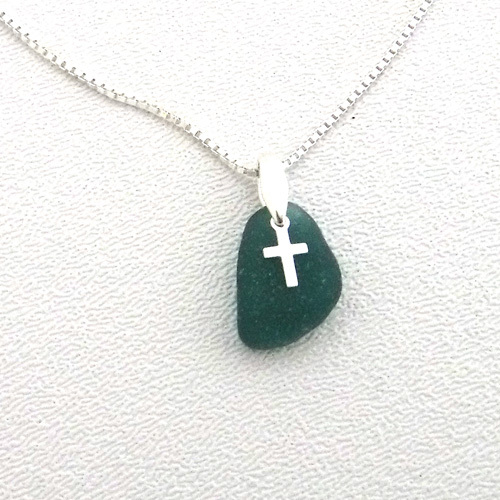 This dainty teal sea glass necklace with a cross charm is the perfect gift for a young girl’s First Communion. 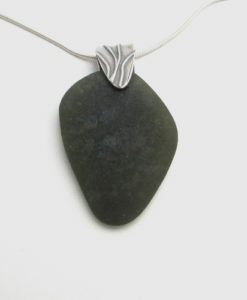 This is an authentic piece of teal sea glass that was found in Greece. 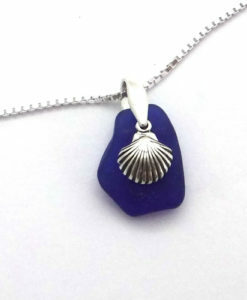 The sea glass measures approximately 1/2 inch long. 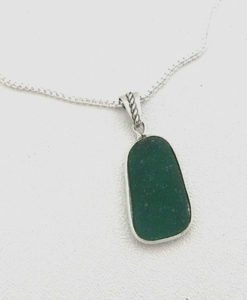 Teal sea glass is extremely rare because it was seldom used in mass production of bottles. It was sometimes used in tableware, antique flask and art glass. 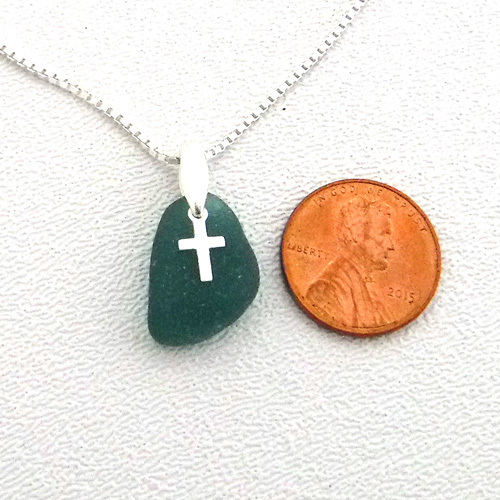 The sea glass has been finely drilled with a small cross that floats on top of it. 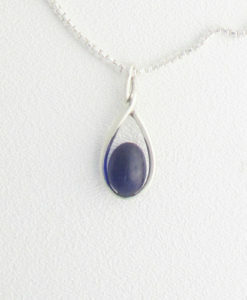 It comes with a choice of a 14″, 16″, 18″, or 20 inch 1.25 mm sterling silver box chain. The 14 inch chain is perfect for a young girl. 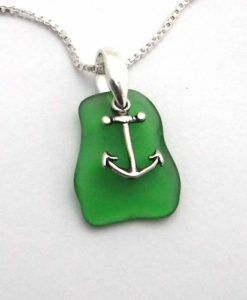 The pendant can be purchased without the chain for $30. The necklace comes packaged in a gift box. Free gift wrapping is available upon request.